This little coffee table was exactly what I was looking for - the assembly was no trouble at all (everything was included and instructions were thorough. My fiancée and I are brats when it comes to furniture and home decor so if we approve consider it as worthwhile. 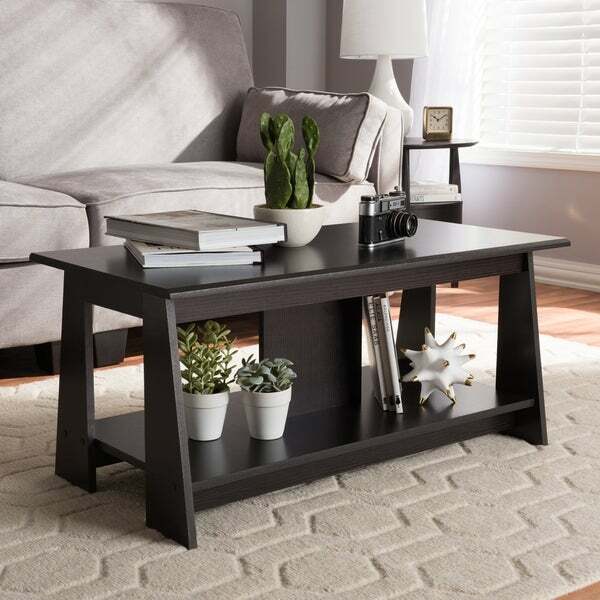 The sleek, energetic look of the Fionan coffee table practically begs to show-off its style. The modern and contemporary-inspired design emphasises clean lines and open spaces. The Fionan has an all-over wenge brown wood finish. 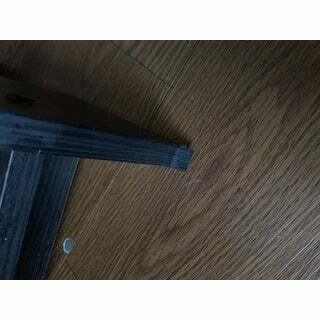 Dimensions 18.11 In. X 35.63 In. X 16.54 In. I really like the style of the table. It is modern and has space to put home decor. The table is small however it fits perfectly in my livingroom. I put it together myself. A good price for a sturdy piece of furniture. I thought the table would be wood and not that fake wood stuff for the price. Now that I put it together it looks much smaller than the picture and the structure is a little flimsy... One side of the table leg is peeling already but I guess you get what you pay for..
Well the coffee table came with absolutely no directions. There’s 1 million pieces in which you have to put together. I’ve had it for about three weeks and I still haven’t figured it out! The table is smaller than I pictured, but that’s my fault for not checking the dimensions more closely. It’s of good quality and definitely worth the price. Very nice design, and looks good in my living room. Terrible to assemble! Cheap- but you get what you pay for! Hoping I can return and get refund! Had holes on top of table. Very disappointed. You get what you paid for...the material is cheap, fragile and easily breakable. I'm returning it because part inside had a crack which only got bigger as we put together. I do like the look and design though. You need to make instructions more easily. Written you u can understand how to put together better. This is very nice. It fit in perfectly with my theme and it accents the room so much. I like the way it look it will go great with my furniture.